I had an incredibly gut wrenching moment when I woke up one morning to discover one of the social media accounts Made Urban uses for marketing had been suspended and my page with over 25,000 followers, which drove a big chunk of our traffic, could no longer be found. Many Etsy sellers have dealt with the same type of issues over the past few years as the rules and algorithms change. You’ll find many forums with Etsy sellers sharing how their shop traffic and sales are drastically down. Many stating sales dropped by 80% after an Etsy update and are wondering what to do now. Several website owners complained about a big drop in traffic when Google implemented a change to their Penguin algorithm. While some have been affected by Google’s quest to boost websites that are mobile-friendly and bump non-mobile-friendly websites down in search results. No business is bulletproof but they can run into bigger problems if they make the same common mistake pointed out above. So what’s that mistake and what do all 3 scenarios have in common? Too many eggs in one basket. The solution is to spread your sales and marketing channels out. 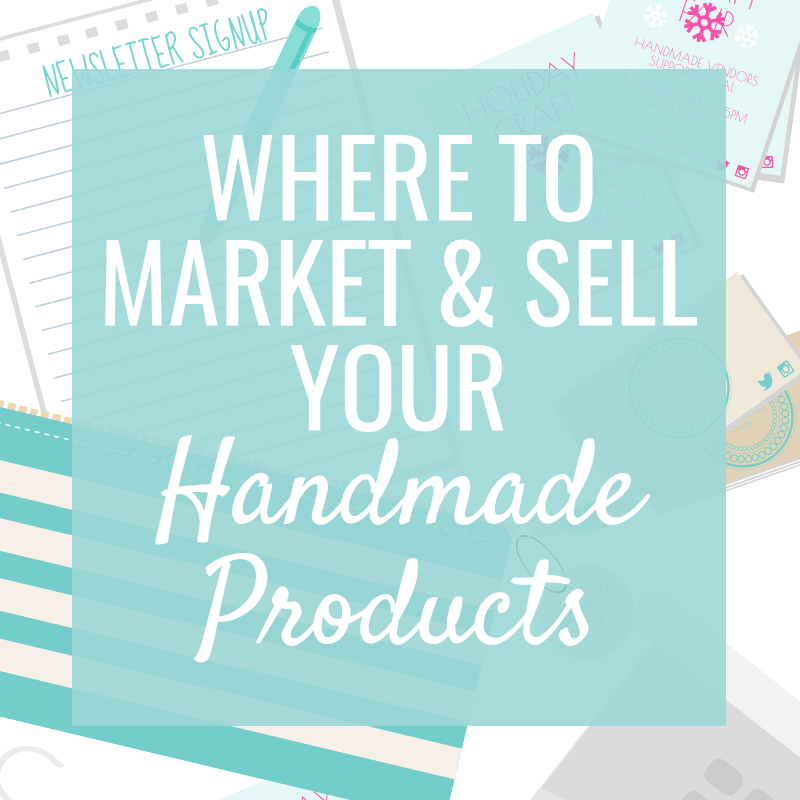 It’s not about randomly adding new places and ways to market and sell your handmade products; choose wisely. You have limited time so you want to use channels that will give you the most bang for your buck and time. You also must give it time. 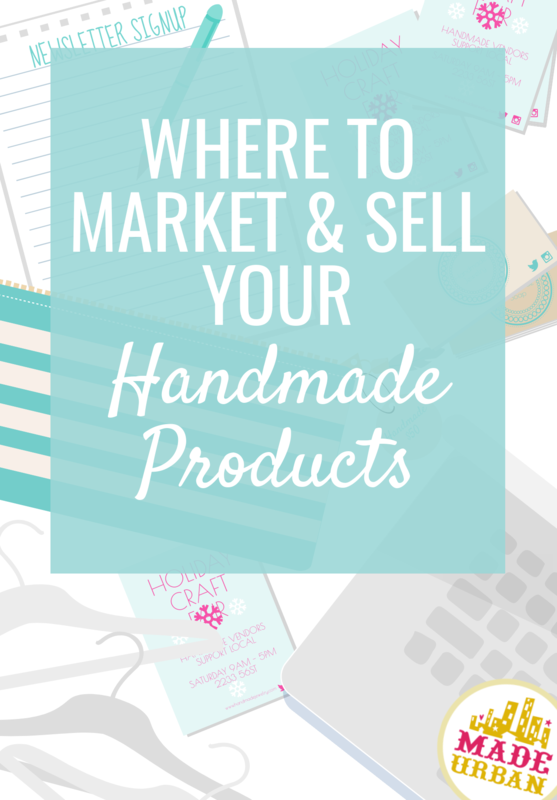 If you’re one of the sellers who’s experienced a drop in traffic and sales on Etsy, you can’t expect to hop on another online marketplace platform or start your website and see immediate traffic and sales. Everything takes time but if you start now, in a week, month or year you won’t be wishing you started today. A sales channel is a platform you sell your handmade goods through. Sales channels may be direct (when you sell directly to a customer) or indirect (when someone else sells your products to customers). Direct sales channels allow you to keep the majority of your profits with each sale. Websites cost money to design and build and have reoccurring fees when it comes to the domain, hosting, credit card transactions, etc. and can take months, sometimes even years, to build up traffic. But, you have full control over your website and don’t have to pay listing or commission fees. Are cost effective to set up and typically charge a small fee to be a member each month, to list products or for each sale. You can take advantage of the traffic they bring to the website, however, they still require you to drive your own shoppers to your store to see significant growth. Typically charge a fee for the space of a table or booth, however some events will charge a commission on sales or have additional fees for renting a table, wifi hookup, parking, etc. And of course your time to maintain and sell through each channel must be accounted for when it comes to costs. Indirect sales channels will take a percentage of your profits so you must have good margins before you go down this path. Affiliates get a percentage of each sale. You can decide on the percentage but the juice must be worth the squeeze to attract enthusiastic affiliates who put effort into selling your products. I have awesome ebook affiliates and I split each sale 50/50 with them. But depending on your product and its profit margins, you may choose to share a smaller percentage or have a fixed rate for each sale. Retailers will either purchase your products at wholesale prices or sell them through a consignment agreement (check out the pros and cons of each here). Wholesale prices are typically set at 50% of your retail price. Meaning if you sell a bag at a craft show for $100, a retailer would expect to buy the same bag from you for $50 so they can sell it in their store for $100 and make a profit. Consignment agreements vary from store to store with different commission fees and terms. The retail stores I sold my handmade products through on consignment typically took around 30 – 40% of a sale. It was nice to earn more money with each sale but the downside was I had to make stock for their store and wouldn’t get paid until it sold. I would also receive stock back if it hadn’t sold after several months and then I was left with items that were shopworn or out of season. Distributors are the middleman between you and wholesale accounts. They reduce your profits even more, as they typically want an additional 20 – 30% off your wholesale prices. They’ll purchase your products and then sell them to retailers. The perk of using a distributor is that they have the connections to retail stores to grow the wholesale side of your business. Sales reps are similar to distributors but instead of purchasing your products and selling them to retailers, they meet with retailers and market your products to them. They’ll take a commission of each wholesale order they get you. One sales channel will likely be your main focus however the more channels you add, the more money you can make…to a certain extent. Adding too many sales channels can be counterproductive if you don’t have a good handle on each. Before you can begin adding more to your plate, you must have a system for maintaining one sales channel and a plan for inventory management between channels. You must first think about who your target market and niche market is so you can narrow down to an ideal customer. The problem many small businesses run into when it comes to defining an ideal customer is they start with the small details that don’t necessarily help you find more shoppers. It’s also easy to create a fantasy customer who doesn’t actually exist. Let’s imagine a handmade business selling toys for babies. They define their ideal customer as a mom. But “moms” is a big target market. There are all types of moms: moms of newborns, toddlers, twins, 4+ children, children with special needs, etc. If you think about a mom of a newborn vs. a mom of four children, with a newborn all the way up to an eight year old, they live much different lifestyles. A mom with four kids will likely find it difficult to bring them to a craft show or even find time for a craft show with all the extracurricular weekend activities. She may be more likely to get her shopping done online or through retail stores. 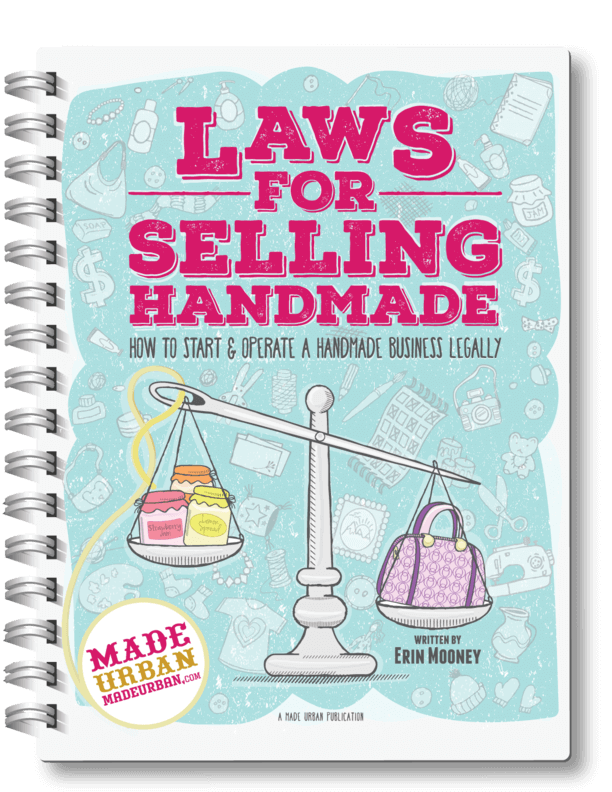 In which case, setting up a website, a shop on an online marketplace or selling wholesale to retailers would be good sales channels for the handmade business owner. The mom of a newborn who can strap her baby into a sling carrier may have an easier time shopping at craft shows. Both customers may be interested in purchasing the vendor’s handmade toys, however, they’re likely to turn to different sales channels to purchase. Determine the different versions of your ideal customer and the shopping methods that might fit best into their lifestyle. If your ideal customer is likely to prefer one method of shopping to another (e.g. online vs. offline), you can still spread your channels out. For example, if your customer is mainly an online shopper you may focus on your website, online marketplace shop and selling wholesale through online retailers. If your customer is mainly an offline shopper, you may focus on selling through craft shows and getting your products into retailers. Consider what you shop for online vs. heading to a craft show or local store to buy. Have you ever opened your computer to go shopping for lip balm or do you usually grab it when in line at a drug store or grocery store? Look at each sales channel and think about how people shop through it. People tend to shop at craft shows to browse. They don’t usually have a particular item in mind, as there’s a wide variety of vendors at each craft show and an even wider variety of products. Bigger, more expensive items that require more contemplation or commitment may not sell as well while easy to carry, lower priced, impulse items could fly off the table. Shoppers usually head online when they’re looking for a specific product that may be hard to find in person. If you’re looking for neon green tassel earrings are you going to go from store to store in the mall or type the search phrase into Google and browse the hundreds of options that come up? If your products are hard or expensive to ship, they may not sell as well online. People generally head to a mall or boutique when they have something in mind but not something specific (unless they’ve seen an item on a retailers website and are heading to a store to see it in person or purchase). For example, people may be on the hunt for a new top and have the style in mind (e.g. dressy blouse or casual t-shirt) but not typically the specifics (e.g. a red and white long sleeved v-neck top). Retail shoppers are usually on the hunt for options. You may choose a sales channel based on the stage your business is in. If you’re in the startup phase, are testing out the waters and are short on time and money, you may opt for using an online marketplace, as they make it quick and easy to set up a shop and don’t require much money or web experience. If you’ve been on an online marketplace for several months and have a proven concept for your products and business, you may want to start building your brand, traffic, newsletter list, etc. on your own website. And if you have good profit margins and want to spend less time selling to customers and filling individual orders, selling wholesale to retailers may be the next step for your business. If you want further instructions on how to implement those steps in your business, you can pre-order the ebook for a BIG discount. But hurry, the spots left to purchase at 50% off are going fast! A marketing channel is a platform or method used to drive shoppers to a sales channel. People don’t just show up on your website, at your craft show table or at a retail store; something must lead them there (even if it’s a “craft show here” sign on the street they happen to be driving down). Marketing methods are the techniques you use on those marketing channels to gain attention. Many handmade businesses either have a lack of focus when it comes to marketing channels and methods, trying anything and everything, or they’re too focused on one marketing channel, putting more time, effort and money into one method when it’s not the right fit. You must consider your ideal customer again and the marketing channels they’re most likely to cross paths with. Check out the demographics of social media platforms, blogs you’d like to advertise or get a feature on, or magazines and newspapers you’re sending press releases to. They should be similar to the demographics of the market you’re trying to reach. The mom of the newborn may be Google-ing phrases daily (e.g. what to do when your baby _______) while her baby is napping and come across blogs with advice for moms. The mom of four children has likely lived through the majority of lessons a blogger shares and may not have the time to read blogs. Although a blog covering topics for moms may sound like the perfect fit to advertise children’s products, it depends who the handmade business is targeting. The same idea applies to marketing methods; your ideal customer should be top of mind. Are they more likely to read an article, watch a video or look through photos? Which keywords might they enter when searching for a product like yours; those will be important for SEO, creating ads, etc. Which element of display might draw your ideal customer in at a craft show? A giveaway? Testers or samples? A demonstration? The marketing channels your business uses will be dependent on your sales channels. You can’t use the same marketing methods for each sales channel and expect the same results. A pin on Pinterest may be great for driving traffic to your website but isn’t a great platform to advertise your upcoming events since pins gain momentum over time and are displayed to people around the world as opposed to a local audience. Hashtags and geofilters on Instagram can come in handy when trying to drive shoppers to a retail store so your items sell out and the retailer must place another order. Postcards, newspaper ads and guerilla marketing may help build brand awareness but if you’re trying to drive traffic to your website, online marketing channels may be more effective since your website is just a click away (instead of someone having to open their computer, open a browser and type your URL into the browser bar). Each marketing channel will have its pros and cons based on the product you’re selling. Some products get ignored on certain marketing channels or just aren’t a right fit. Pinterest may be a great platform for a business selling items to women since the majority of Pinterest users are female. But a business selling products purchased and used by men may have less success there. Pitching to magazines and newspapers is a good idea for business owners with a powerful story or buzz worthy products but likely wouldn’t bring a return on time investment when pitching an item with lots of competition or no unique angle. Google Adwords may be a good advertising option for products with high search volumes and low competition but unhelpful for products that aren’t typically searched for or purchased online. The methods you use may also vary depending on your product. If your product in action wows people, video may be more powerful than photos. If you’re selling products that have a lot of competition, you may require paid advertisements or guerilla marketing tactics to get them seen. You must also think about the marketing channels and methods that are a fit for you. Pitching a press release to a local TV program may work for some businesses to gain exposure but if you hate being on camera and can’t imagine being interviewed live, it likely won’t be as successful for you. A one-on-one interview for a magazine or newspaper could be a more comfortable option. Some social media platforms move fast and require you to be on them constantly to get results (e.g. Twitter), while others can rely on scheduling tools and help you gain momentum over time (e.g. Pinterest). Your business’ budget may allow you to pour money into Facebook or Google ads or you may not have a marketing budget and rely on guerilla and viral marketing tactics, which require more time than money. Before following someone else’s advice on the sales and marketing channels that are a “must” for small businesses, do your homework and be sure they’re a fit for your business. There’s no magic bullet or foolproof formula for getting more traffic and sales. Unfortunately, every business must put in time and effort to find their unique path to them. Questions about marketing or sales channels? Please leave a comment below!